This die-cut shaped children's book is a thoroughly charming introduction to the Mother Goose rhymes. This die-cut shaped children's book is a thoroughly charming introduction to the Mother Goose rhymes. This facsimile of a 1917 edition is great to give or read to a young child. Another in our popular series of shaped books. Margaret Evans Price has a great appeal to young readers. Her illustrations are just right, and her brief selection of rhymes is judicious. 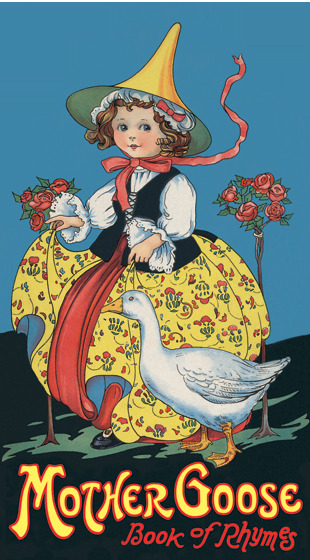 Some of the rhymes included are: Little Bo-Peep, Mary, Mary Quite Contrary, Jack and Jill, Goosey Gander and Simple Simon.